Presidents week is coming soon, and for families with kids that means February winter break. After the winter we've had so far, you may be looking to hightail it out of Long Island. But if you're staying local, you may be wondering what to do with your kids this week. For parents who have to work (or those who just want to make sure the little ones don't have too much time on their hands that week), there are plenty of activities to sign them up for. For working parents lucky enough to get time off, there are many events to be enjoyed by the whole family. Take a look at the many camps, classes, performances and other interesting events to beat out boredom and keep everyone in your house entertained during winter break, which runs Feb. 18 through Feb. 22 (not counting the weekends that fall before and after). 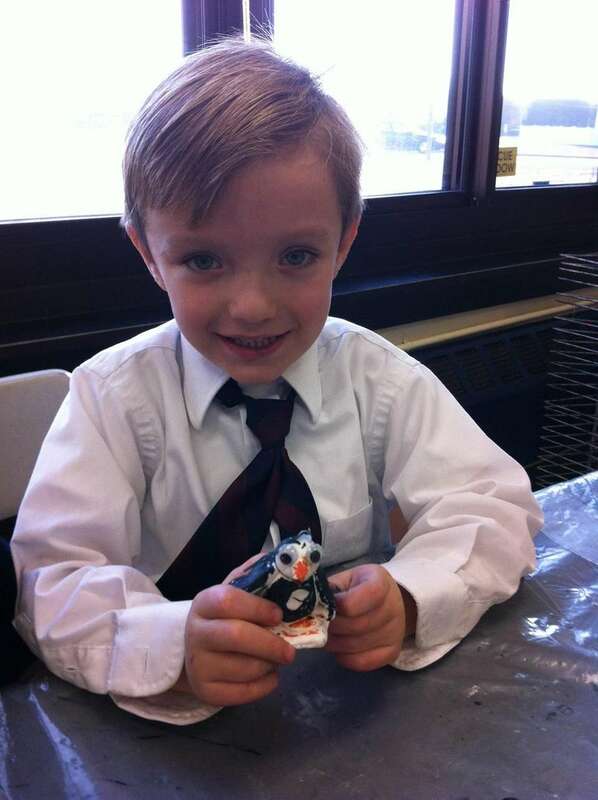 Designed for kiddies grades 1-6, ClayNation (38 Forest Ave., Glen Cove) is featuring a variety of drop-off crafting workshops for the Presidents Week break (11 a.m.-1 p.m.; Feb. 18-22). Scheduled classes include canvas painting, mosaic mirror making (pictured) and glass fusing; advance registration is required, children should arrive with a snack and drink. $25 per class per child; register online at claynationonline.com. Call 516-671-8788 for more information. The Rinx in Hauppauge (660 Terry Rd.) is offering a "President's Week Holiday Super Session" daily from noon-5:45 p.m. Feb. 18-22. Pay one price ($12, children 11 and younger: $9.50) and skate until the holiday session ends; skate rentals are $6. Call 631-232-3222 or visit therinx.com for more details. 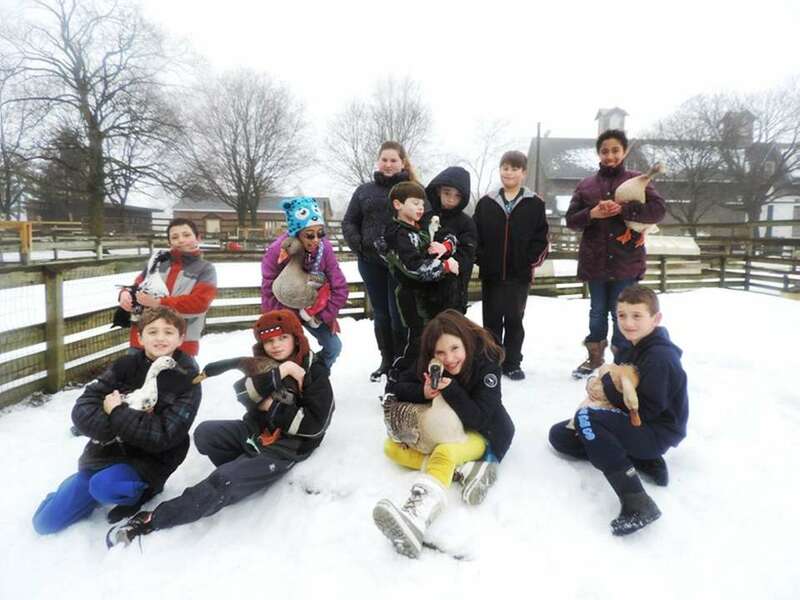 The Suffolk County Farm and Education Center (350 Yaphank Ave., Yaphank; 631-852-4600) is hosting a Presidents' Week winter camp from Feb. 18-22, 8:30 a.m.-3 p.m. daily. Events will include an introduction to nineteenth-century farming techniques (Monday, Feb. 18), a choice between exploring the wintery grounds or get to know some of the farms smaller and softer creatures (Tuesday, Feb. 19). A Harry Potter Camp is a two-time option (Feb. 20-21) or choose creative classes both days; close the week (Friday, Feb. 22) with a choice between nature journaling or take a chicken-introduction class. Price: $275 for the full week or $65 per day. Register online at ccesuffolk.org. Photo Credit: Mark Schoen / Plaza Theatrical Productions, Inc.
Plaza Theatrical Productions is putting on performances of "Cinderella" at The Showplace at Bellmore Movies (222 Pettit Ave., Bellmore) for part of Presidents Week (Feb. 18-19 at 11 a.m.), then switches gears and offers their version of "The Little Mermaid" (pictured; Feb. 20-22, 11 a.m.). Price: $12. For more information or to obtain a ticket, visit plazatheatrical.com or call 516-599-6870. At The Chocolate Duck in Farmingdale (310 Main St.), kids can take part in a cake decorating class on Monday, Feb. 18, as "cake decorating is an art form," according to pastry chef Christina Bisbee. The class is $65; for more information, call 516-249-0887 or go to chocolateduck.com. 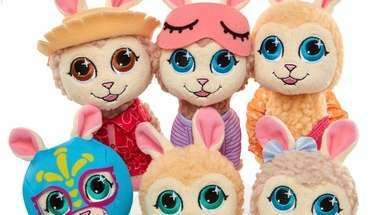 Craftree (7 Green St., Huntington) is holding winter school break classes Feb. 19-21 (10 a.m.-11:30 a.m.) that will teach kids how to sew; projects will be a panda pillow-making session (Tuesday, Feb. 19; $40) followed by a "llama softie" craft gathering (Wednesday, Feb. 20; $40) and a birthday pillow creating class on Thursday (Feb. 21; $45). Register online at craftreeclasses.com. Kids can learn to bake and then decorate their baked goods at Celebrations in the Kitchen (63 E. Old Country Rd., Hicksville) during two classes on Wednesday, Feb. 20. 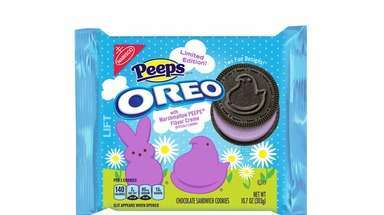 A cookie/cupcake class (11 a.m.-12:30 p.m.; ages three and up for cookies, six and older for cupcakes) and a muffin/cupcake class (noon-2 p.m.; ages ten and up) are being offered. The cookies class costs $34.95; cupcake class costs $39.95. Kids ages ten and up and take a muffin/cupcake class on the same day (noon-2 p.m.; $59.95). Reservations are required by calling 516-396-2193; for more information, go to celebrationsinthekitchen.com. On the heels of its recently released self-titled debut album, Disney music group, DCappella, continues its inaugural North American tour, making a stop at NYCB Theatre at Westbury, 7 p.m. Saturday, Feb. 23. Doors open at 6 p.m. The show features an eclectic mix of tracks from the a-cappella album, including timeless Disney classics to modern-day Disney favorites. The Long Island Science Center is back! Head to its new location on the ground floor of a new high-rise building on Peconic Avenue near the river and check out the new digs. Speaking of digs, join the Dino Detective Earth science program 2 to 3 p.m. on Saturday, Feb 23, when kids can learn how paleontologists figured out how dinosaurs moved, ate, and lived during their era. There will be a fossil impression craft session, and kids can take their creations home. WHERE 40 Peconic Ave., Riverhead. Call 631-208-8000 or go to sciencecenterli.org for more information. ADMISSION $10 and the workshop fee is $5. 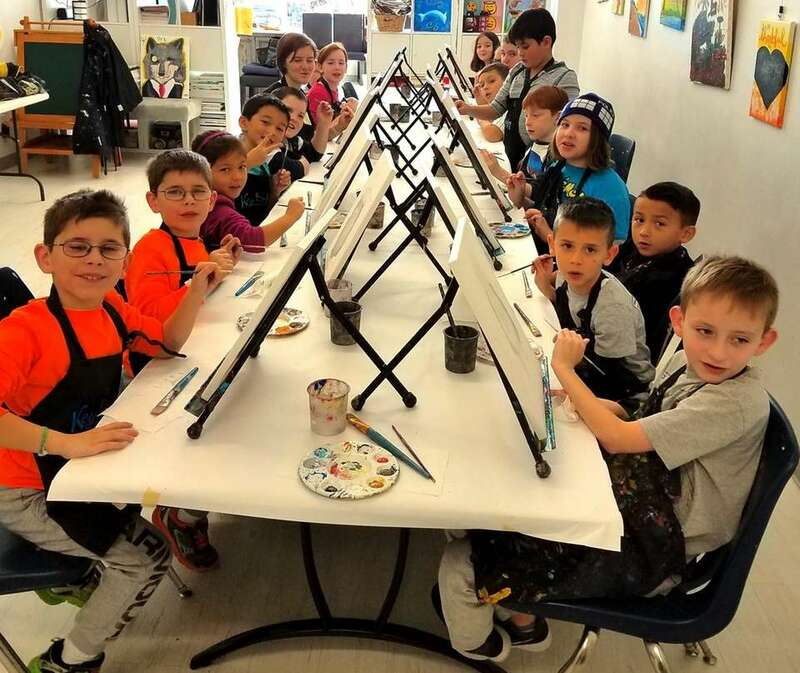 Pinot's Palette art studio (61 W. Main St., Bay Shore; 631-446-4777) is hosting a "Little Brushes: Kids Camp" 9:45 a.m.-2 p.m. Feb. 18-21 for participants ages eight-14, which includes a snack and drink plus complimentary water (kids must bring bagged lunch; nut-free requested). Each day features craft-making, painting and a game; $200 for all four days. Friday, Feb. 22 from noon-2 p.m. there's a $30 per painter all-ages "Unicorn Magic" family special event as well. Register in advance at pinotspalette.com. President's Week at Baking Coach (320 Broadway-Greenlawn Rd., Huntington) has workshops daily Feb. 18-22 at 1 p.m.-3 p.m. and 3:30 p.m.-5:30 p.m., focused on a variety of food preparations and dessert decorating. Open to ages eight-17, $45 per class.To register, call 631-543-8608, email thebakingcoach@optonline.net or go to bakingcoach.com. The A la Carte culinary center (32 Atlantic Ave., Lynbrook; 516-599-2922) is offering "Junior Chef Around the World Series" two-and-a-half-hour cooking classes daily Feb. 18-22 at 11 a.m. designed to teach about both culinary technique and international customs. Price: $80 for a single class, $350 for all five; register in advance online at alacartecs.com. Glowgolf, a glow-in-the-dark mini-golf course under the Roosevelt Field Mall in Garden City, opens daily when schools are closed. 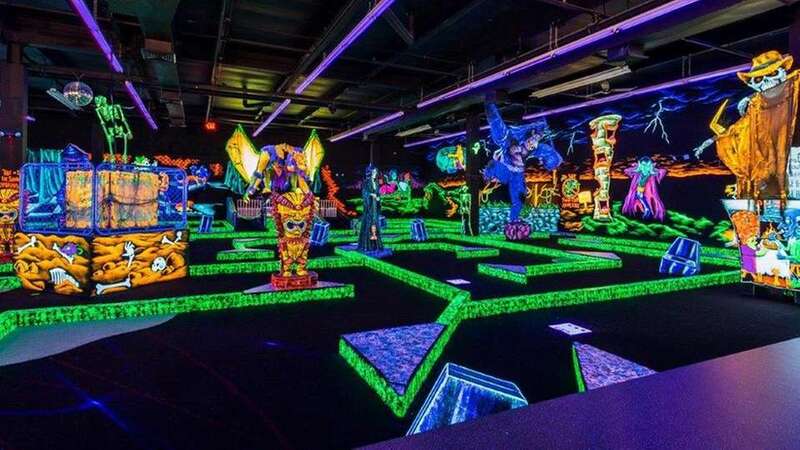 The course features 27 unique holes using fluorescent golf balls and putters, along with obstacles and wall decor under black lights. The center also features multiple party rooms and a Laser Maze Challenge, where guests can work their way through a series of lasers while trying not to break the laser beams against the clock. Open hours during the school break is 10 a.m.-9:30 p.m. Monday-Saturday and 11 a.m.-7 p.m. Sunday (mall hours). To play 54 holes (play through twice) the price is $12 adults, $10 kids ages 5-12, $7 for children ages four and younger. The Laser Maze Challenge is $3 for one game, $5 for two games and $10 for five. For more information, call 516-747-3682 or visit opryglowgolf.com. 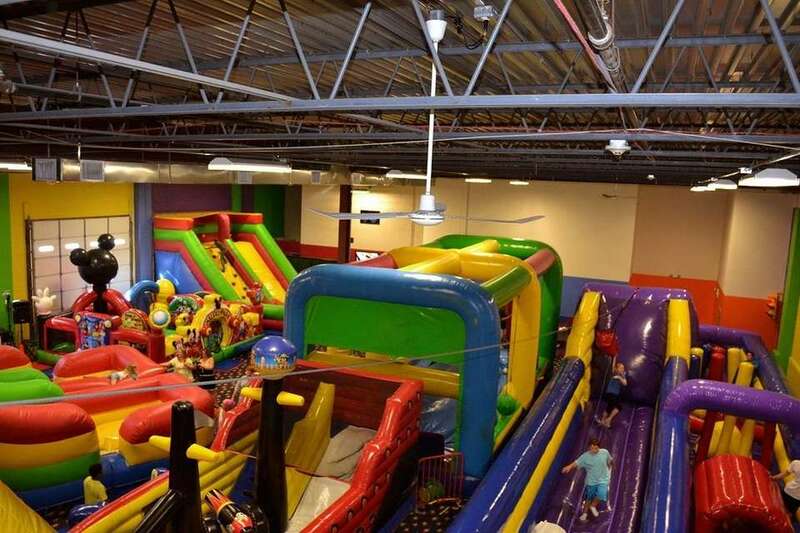 Bouncers and Slydos (1835 New Hwy., Farmingdale; 631-752-2324) is offering daily open play sessions for children ages 10 and younger Feb. 18-22 from 10 a.m.-11:45 a.m. plus a second session from noon-1:45 p.m. Featuring an indoor 90-foot inflatable zipline and an inflatable obstacle course that leads to either an air mattress jump or a slide. Price: $15 to bounce, add $3 to zipline. For more information, visit bouncersandslydos.com. Looking to get creative? 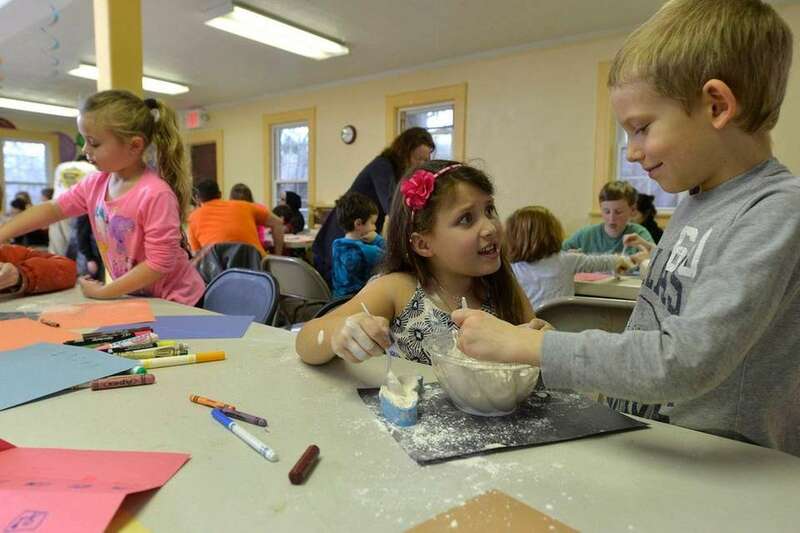 The Vanderbilt Museum and Planetarium (180 Little Neck Rd., Centerport; vanderbiltmuseum.org) has five special two-hour winter break workshops (10 a.m.-noon) scheduled for children from preschool age through third grade. On Monday, Feb. 18 kids will learn about some of the portraits that adorn the walls of the mansion and then have fun creating their own self-portraits. Tuesday, Feb. 19 features an introduction to ancient Egypt and a chance to make a rattle, while Wednesday, Feb. 20 offers a sea life learning experience paired with an art-making session. Thursday, Feb. 21 will allow for a review of the museum's wildlife dioramas and then a mask-making break for preschoolers, then older kids can come by Friday to explore the dioramas then make a snow globe. Price: $20, $18 members. You must register for all events by calling 631-854-5539. 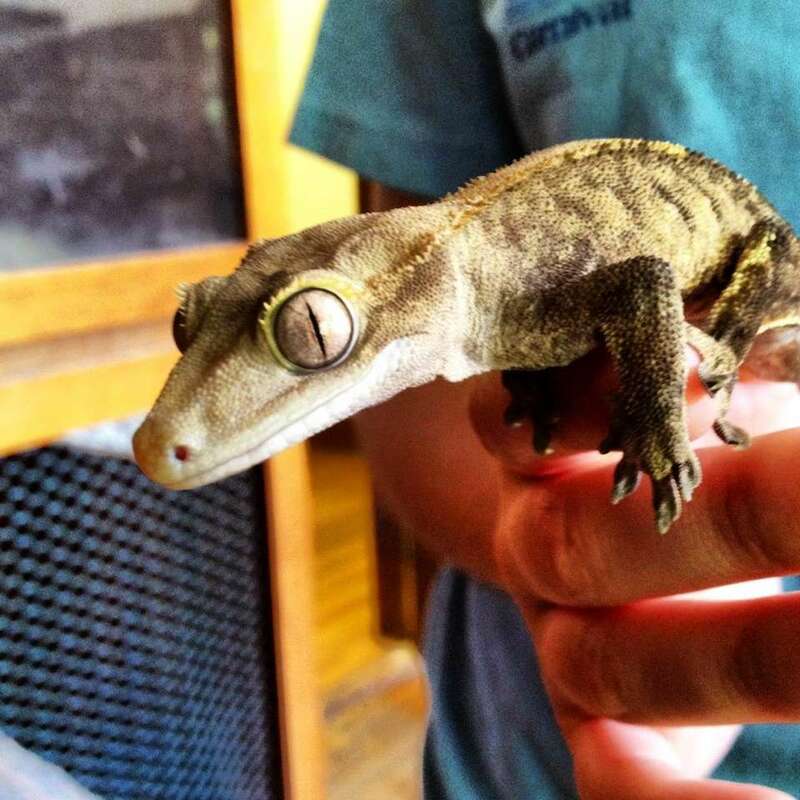 The South Fork Natural History Museum (SoFo) (377 Bridgehampton/Sag Harbor Tpke., Bridgehampton) wants kids to have fun while learning about nature. Their all-ages winter school recess programs include Winter Weather Nature Walks (Feb. 18, Feb. 20-21), and nature explorations (Feb. 19, 22). Price: $15, $10 children ages 3 to 12, 2 and younger are free (free for SoFo members). Fees include museum admission; advanced reservations are required for all events. Visit sofo.org or call 631-537-9735 for more information. 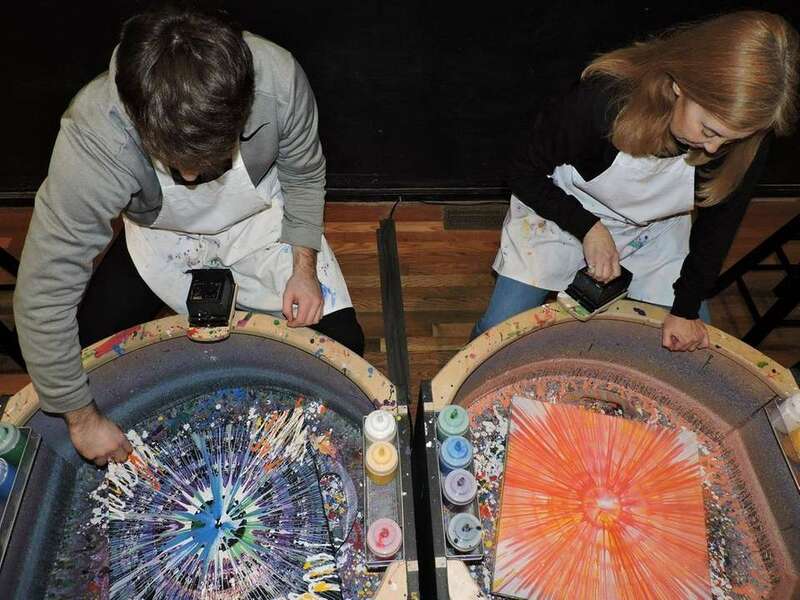 The Casa de Spin studio (81 Grand Ave., Massapequa) is hosting three sessions of its "Create a Giant SpinArt Painting" class on Monday, Feb. 18 (10 a.m., 1 p.m., 4 p.m.) and then twice daily Feb. 19-22 (11 a.m. and 2 p.m.); $29, open to all ages. Pre-registration required through the website; visit casadespin.com or call 516-654-7746 for more information. The John W. Engeman Theater (250 Main Street) in Northport is performing "Seussical the Musical"--a story based on the Dr. Seuss classic "Horton Hears a Who" but includes several characters from other Seuss stories. The show will take place Saturdays at 11 a.m. and Sundays at 10:30 a.m. (until March 3). Price: $15. For more information, visit engemantheater.com. Both the Amityville (10 W. Oak St.; 929-278-5397) and East Rockway (131 Main St.; 516-218-2920) Key to My Art outposts are offering drop-off Winter Break events that gives kids two different creative 90-minute opportunities held daily Feb. 18-21, with LOL Doll-painting sessions at 11 a.m. and Pokemon painting classes at 1:30 p.m. Recommended ages are five and older; fee includes canvas, paint, supplies and instruction. Price: $20 per class; advance registration is required. To RSVP and for more information, call or visit keytomyart.com. Bay Street Theater (1 Bay St., Sag Harbor) is hosting its annual "February Kids School Vacation Camp" Feb. 18-22 daily from 9 a.m.-3 p.m. Split into age groups of 7-12 and 13-18, it's designed to get participants working together to create, write and produce a musical while learning about theater arts. In addition, the kids will rehearse the music and steps necessary to take part on a performance to take place on the Bay Street Theater Mainstage for friends and family. Price: $470. Enroll online at baystreet.org; call 631-725-9500 for more information. Mini Monet Art Studio (64 Railroad Ave., Sayville) is hosting a "Animals Art Camp" Feb. 18-20 with sessions for grades K-5 and a Thursday, Feb. 21 session for grades 2-6 (10 a.m.-1 p.m.). Price: $40 each; call 631-218-9797 or purchase tickets in advance at minimonetsayville.com. Bounce! 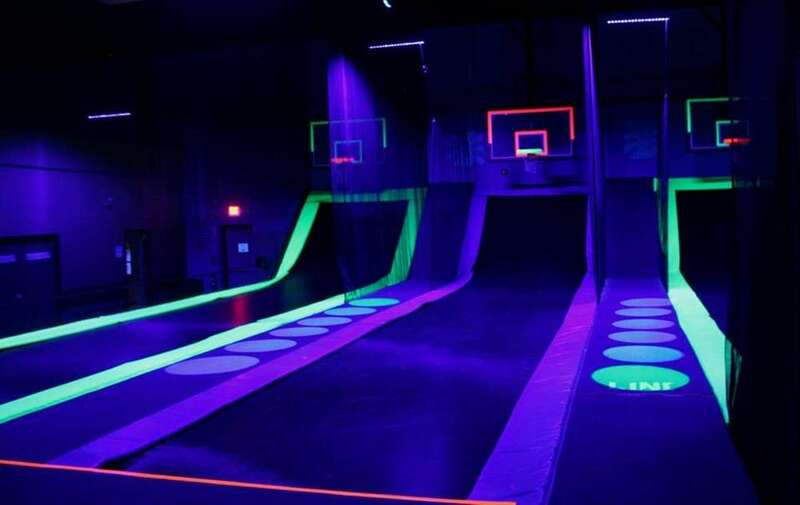 Trampoline Sports (310 Michael Dr., Syosset) feature its "Jump N' Glow" sessions every hour or half hour starting at 8 p.m., where kids can jump, bounce and play under black lights in a cool, glow-in-the-dark setting. Price: 60 minutes: $22; 90 minutes: $27; 120 minutes: $32. Bounce! also features "Open Bounce" sessions daily from 10 a.m. to 9:30 p.m. Price: 30 minutes: $17; 60 minutes: $22; 90 minutes: $27; 120 minutes: $32. Guests must wear mandatory bounce socks (available for $3; purchase once, keep for return visits). For more information, visit bouncesyosset.com. The Science Museum of Long Island (1526 N. Plandome Rd., Plandome) is hosting a Holiday Program featuring daily events from Feb. 18-22 from 10 a.m.-3 p.m., focused on subjects including science, animal life, the human body and space travel. Price: $75 for non-members, $65 for members; advance registration is required. To RSVP and for more information call 516-627-9400 or visit smli.org. Monster Mini Golf (410-C Commack Rd., Deer Park) is an indoor amusement center featuring a monster-themed, 18-hole golf course with black lights and other fun effects. There's also a large arcade and more. Price: $12 adults, $11 children. For more information, call 631-940-8900 or visit monsterminigolf.com. At the Cold Spring Harbor Fish Hatchery and Aquarium (1660 Rte. 25A, Cold Spring Harbor), kids can make their own homemade ice-cream treat -- just be sure to bring warm gloves -- on Feb. 19-20 from 11 a.m. to 3 p.m.
Other events that week include: Craft a melt-proof snow project (Monday, Feb. 18) and create gooey slime while finding out why it is important to some animals (Feb. 21-22). Price: $6 adults, $4 for children (ages 3-12), free ages 2 and younger. Visit cshfha.org or call 516-692-6768 for more information. 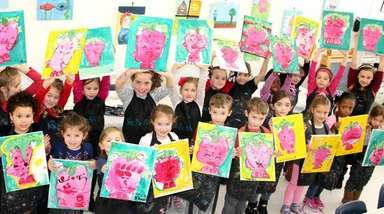 Not Just Art (183 South St., Oyster Bay) is holding the "Winter Break Studio" daily from Feb. 18-21 (10 a.m.-11:30 a.m. and 12:30 p.m.-2 p.m.; $24) gives children ages 3 and older a chance to create wintry-themed concepts, while the "Musical Playalong" music classes (Feb. 18-22: 10:15 a.m.-11 a.m. and 11:30 p.m.-12:15 p.m.; $12) are good for ages infant to 4 years old. For more information or to register, call 516-922-8300 or visit notjustart.com. 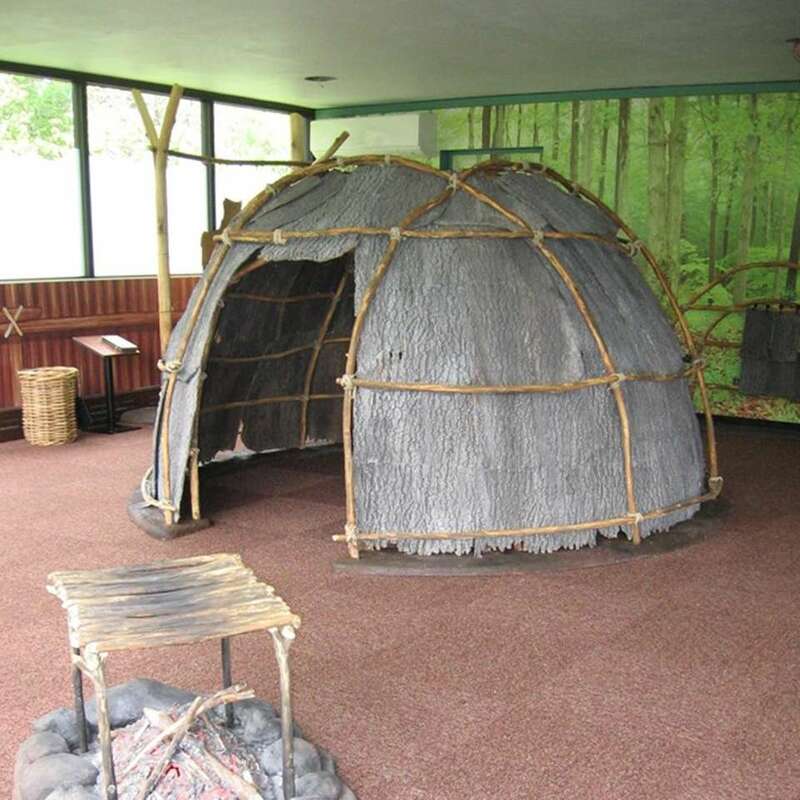 The annual "North American Native American Games" event at Garvies Point Museum and Preserve (50 Barry Dr., Glen Cove) has been held during Presidents Day week since 1980. The 2019 edition runs Feb. 19-22 daily from 10 a.m.-4 p.m., in which children of all ages can make Native American-inspired crafts and play in authentic games. 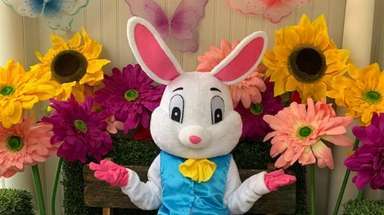 Face-painting will be also available daily from 10 a.m.-noon and 1 p.m.-4 p.m. General admission: $4, kids ages 5-12: $2; face-painting and crafts included in admission (except Friday, Feb. 22). For more information, visit garviespointmuseum.com. 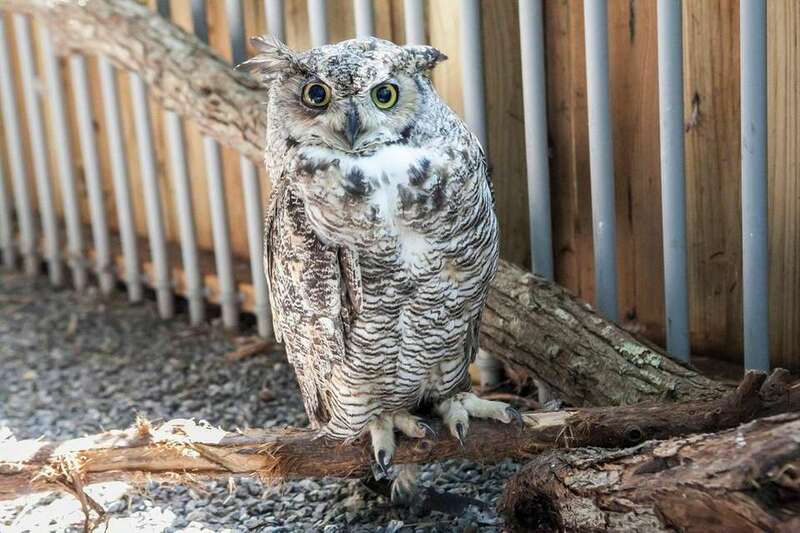 Quogue Wildlife Refuge (3 Old Country Rd., Quogue) is holding a four-day camp from Feb. 19-22 (9 a.m.-3 p.m.) that will include daily hikes, introductions to animals and craft-making. Advance registration and payment is required; weather-appropriate clothing and a snack with drink are requested (or lunch for full-day participants). Price: $330 for the full program; $90 daily (morning session only: $150 or $45 daily). For more information and RSVP details call 631-653-4771 or visit quoguewildliferefuge.org. Newbridge Arena (2600 Newbridge Rd., Bellmore) is featuring a "Presidents Week" schedule: Feb. 18-19 from 1 p.m.-3 p.m., Wednesday, Feb. 20: 4:15 p.m.-6:15 p.m., Thursday, Feb. 21 8 a.m.-10 a.m. and 1 p.m.-3 p.m., Friday, Feb. 22: 8:30 a.m.-10:30 a.m., 1 p.m.-3 p.m., 4:30 p.m.-6:30 p.m., 8:30 p.m.-10:30 p.m. Price: general admission is $9; Town of Hempstead residents pay $7. Skate rentals are $4. For more information, call 516-783-6181 or visit newbridgearena.com. Kids ages 4-12 can visit animals in exhibits and go for walks in the preserves, the woods and around the ponds. They also can participate in hands-on activities inside, including science experiments and staff-conducted demonstrations. The camp is from 9 a.m.- 4 p.m., Feb. 18-22 at the Center for Science Teaching & Learning (1 Tanglewood Rd., Rockville Centre). Price: $60 per day (cost increases to $70 starting 48 hours before the first day of the program). To register visit cstl.org; call 516-764-0045 for more information. Walt Whitman Birthplace State Historic Site (246 Old Walt Whitman Rd., Huntington Station) is hosting a pair of Presidents' Week staycation events on Wednesday, Feb. 21 at 1 p.m. with a dream catcher-making session, followed by a "Victorian Tea Party" at 2:30 p.m. that will focus on building social skills; favorite dolls are welcome to attend. Price: $20 for both programs or $12 for one; programs include a guided tour of the Whitman Birthplace. Pre-registration and pre-payment are required; call 631-427-5240 (ext. 113) or email educator@waltwhitman.org to RSVP, for more about the Walt Whitman Birthplace visit waltwhitman.org. 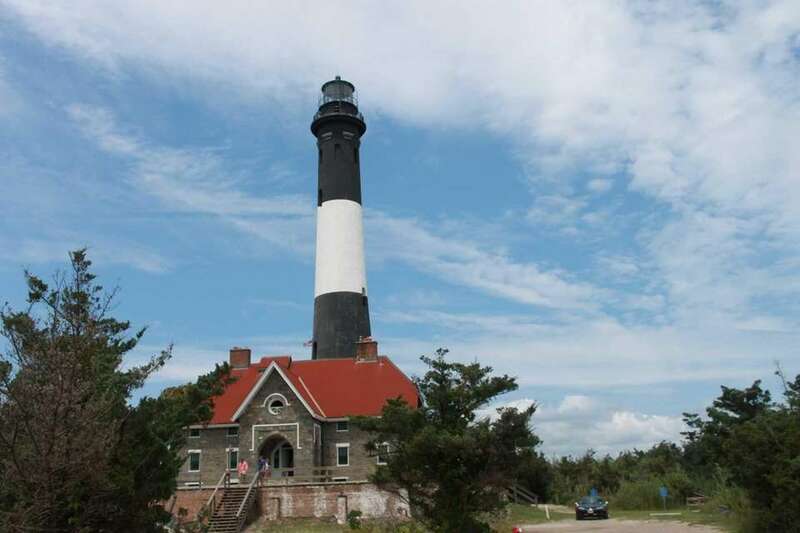 The Long Island Aquarium & Exhibition Center (431 E. Main St., Riverhead) is offering its "February Fun-cation" program on Feb. 18-22 from 9 a.m.-5 p.m. Open to children ages 6-14, kids are to be dropped off for a daily schedule of scheduled activities including aquarium tours, the sea lion show, playing in the arcade and experiencing the "Butterflies, Bugs and Birds" exhibit, as well as craft-making and other fun stuff. Price: $50 daily; $199 for the full week. Reservations required; to RSVP call 631-208-9200 (ext. 426). For more information, visit longislandaquarium.com. This training camp for children ages 5-13 covers technical training and all the basic aspects of the game (including dribbling techniques, passing and scoring). 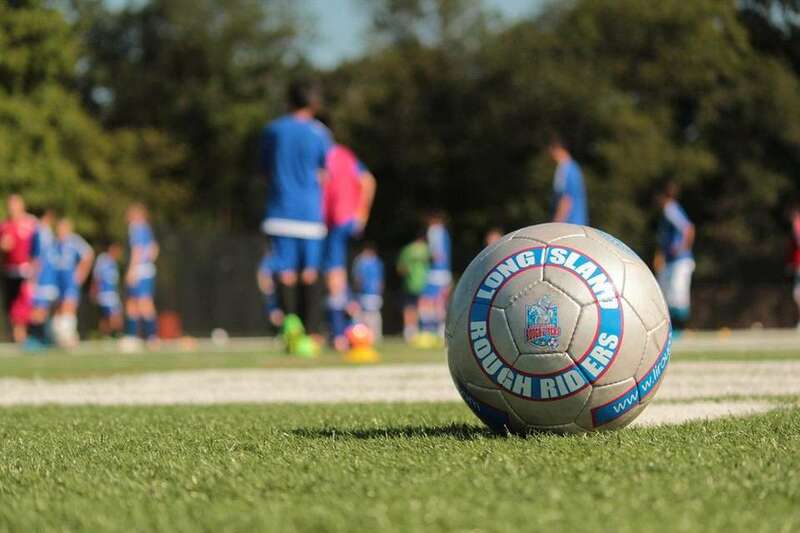 The camp takes place from Feb. 18-22 (9 a.m.-4 p.m.) at the Globall Sports Centers facility (1 Charles Lindberg Blvd., Uniondale). Price: $425 for the week, $95 per day or $55 for morning or afternoon half-days; 516-622-3900, liroughriders.com. United Skates (276 Hicksville Rd.) 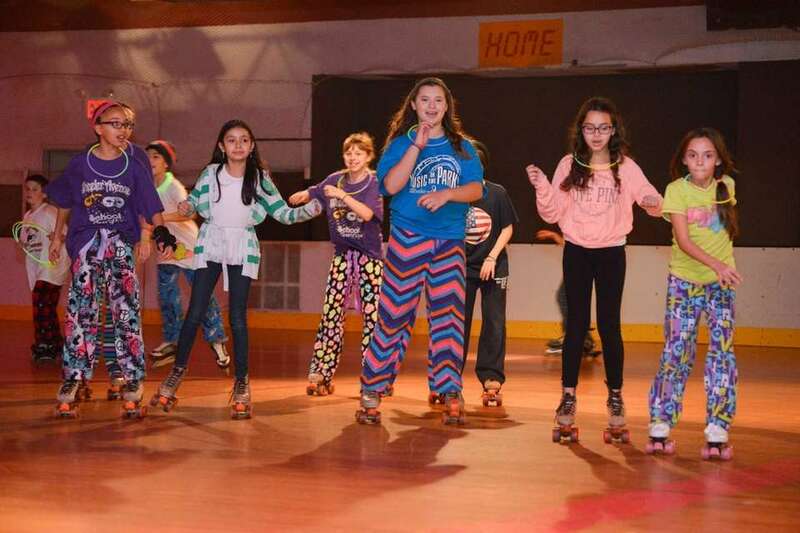 in Seaford offers all sorts of events from Feb. 15-24, including all-you-can-eat pizza parties, a pajama party (Sunday, Feb. 17: 6 p.m.-9 p.m.), Early Bird cheap skating (Feb. 18, 20, 22: 9:30 a.m.-noon), theme events and late-night skating. For more information call 516-795-5474 or visit unitedskates.com. 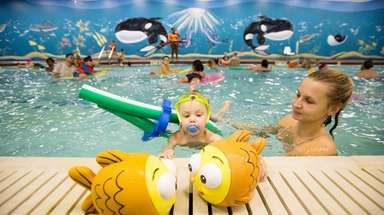 LI indoor pools where no membership is requiredTake a dip without needing a membership card. 45 indoor places to play on LIIf you want to take the kids somewhere to play indoors, we've got you covered. 24 new places for kids, parents on LISome of the most recent, family-friendly spots that opened on LI.